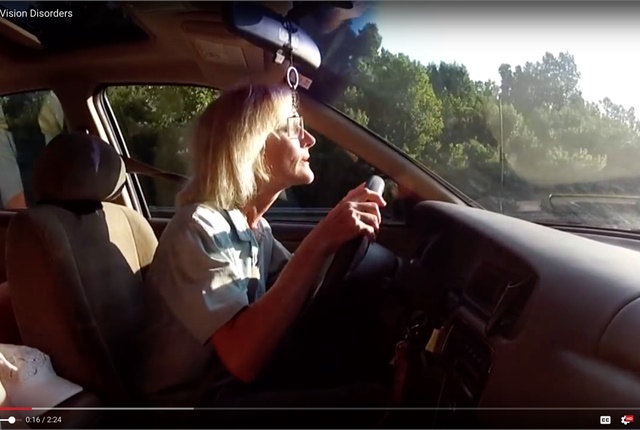 Good vision is crucial for safe driving, but some drivers take their eyesight for granted. Get an annual eye exam, including checks for glaucoma and cataracts. Update prescriptions for glasses or contact lenses regularly. Choose glasses with thin frames and high-mounted side pieces for the best peripheral vision. Keep glasses or contact lenses clean and in good repair. Choose lightly tinted polarizing sunglasses or prescription sunglasses. To learn more about symptoms of vision disorders that can affect driving, you can click on the photo or link below the headline and view a video from the National Highway Traffic Safety Administration.